^ Walker, Craig S.; Wise, Jennifer (July 9, 2003). The Broadview Anthology of Drama, Volume 2: The Nineteenth and Twentieth Centuries. Broadview Press. p. 205. Berst, Charles (1998). "New theatres for old". In Christopher Innes. 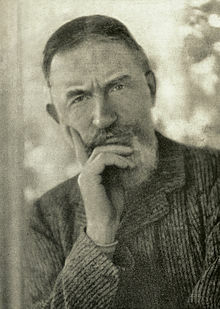 The Cambridge Companion to George Bernard Shaw. Cambridge and New York: Cambridge University Press. ISBN 978-0-521-56237-9. Crawford, Fred D. (1993). "Shaw's British Inheritors". In Bertolini, John Anthony. Shaw and Other Playwrights. University Park: The Pennsylvania State University Press. ISBN 978-0-271-00908-7. Innes, Christopher (1998). "Introduction". In Christopher Innes. The Cambridge Companion to George Bernard Shaw. Cambridge and New York: Cambridge University Press. ISBN 978-0-521-56237-9. Peters, Sally (1998). 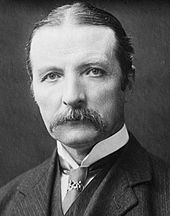 "Shaw's life: a feminist in spite of himself". In Christopher Innes. The Cambridge Companion to George Bernard Shaw. Cambridge and New York: Cambridge University Press. ISBN 978-0-521-56237-9. Powell, Kerry (1998). "New Women, new plays, and Shaw in the 1890s". In Christopher Innes. The Cambridge Companion to George Bernard Shaw. Cambridge and New York: Cambridge University Press. ISBN 978-0-521-56237-9. Wikander, Martin (1998). "Reinventing the history play". In Christopher Innes. The Cambridge Companion to George Bernard Shaw. Cambridge and New York: Cambridge University Press. ISBN 978-0-521-56237-9. Wisenthal, J. L. (1998). "Shaw's plays as music-drama". In Christopher Innes. The Cambridge Companion to George Bernard Shaw. Cambridge and New York: Cambridge University Press. ISBN 978-0-521-56237-9. Shaw, Bernard (1965). Dan Laurence, ed. Collected Letters, Volume 1: 1874–1897. London: Reinhardt. OCLC 185512253. Shaw, Bernard (1969). Stanley Weintraub, ed. 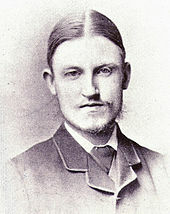 Shaw: An Autobiography, 1856–1898. London: Reinhardt. ISBN 978-0-370-01328-2. Shaw, Bernard (1981). Dan Laurence, ed. Shaw's Music: The Complete Music Criticism of Bernard Shaw, Volume 1 (1876–1890). London: The Bodley Head. ISBN 978-0-370-30247-8. Shaw, Bernard (1981). Dan Laurence, ed. Shaw's Music: The Complete Music Criticism of Bernard Shaw, Volume 2 (1890–1893). London: The Bodley Head. ISBN 978-0-370-30249-2. Shaw, Bernard (1981). Dan Laurence, ed. Shaw's Music: The Complete Music Criticism of Bernard Shaw, Volume 3 (1893–1950). London: The Bodley Head. ISBN 978-0-370-30248-5. Shaw, Bernard (1998). "Shaw's advice to Irishmen". In Crawford, Fred D. Shaw: The Annual of Bernard Shaw Studies, Volume 18. University Park, PA: Pennsylvania State University Press. pp. 63–66. ISBN 978-0-271-01779-2. JSTOR 40681536.